Plant Tissue Culture is well-accepted commercial horticultural practice used for efficiently producing large numbers of identical plants. 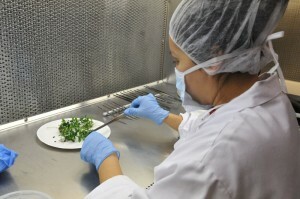 The work is carried out in a specialized laboratory by tissue culture technicians working in a sterile air environment. The benefits of this method of mass-propagation are many. 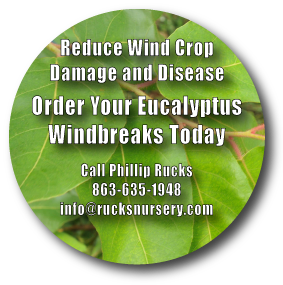 Most importantly it facilitates production of large numbers of genetically identical trees, from pathogen tested, genetically superior selected varieties. Basically, tissue culture consists of initiating a shoot tip, node, or meristem from a selected plant into a sterile medium where it multiplies. For our customers this means the best quality trees possible producing optimum yields to improve your bottom line.